In many states, the month of February has been extremely cold; in some states it has even broken records for being the coldest month of the year and coldest month in history. There has been a lot of the white stuff flying around and that naturally will bring the temperatures around us down even more. 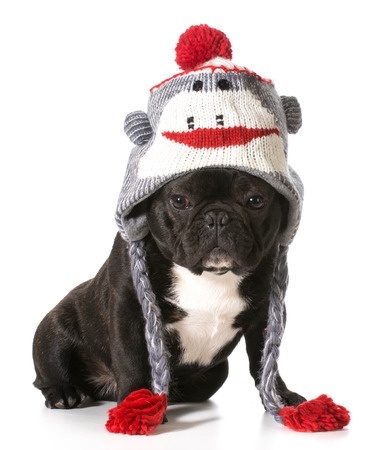 It is important to keep your puppy warm in these extreme temperatures. 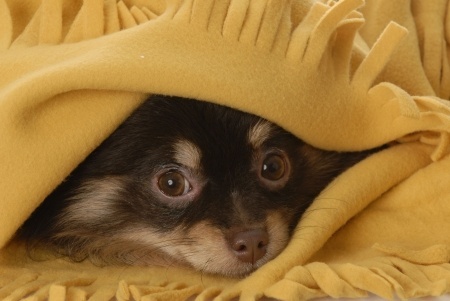 If you have very young puppies, or your dog had recently had puppies you are in an extremely vulnerable position and you need to make sure your puppies stay nice and warm. Puppies do not develop the reaction of shivering until they are two and half weeks. This means they need to be kept warm by their mother or if their mother is not there, it needs to be done by you. 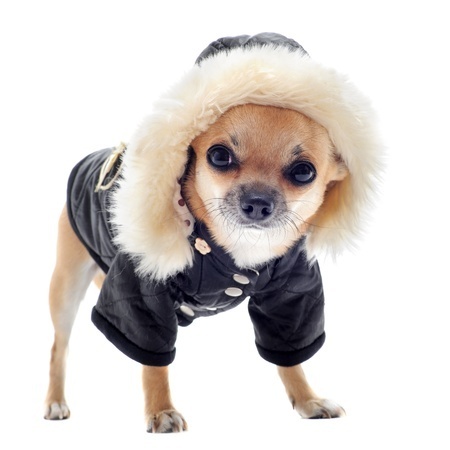 A puppy whose body temperature goes below 95 degrees is at extreme risk to develop hypothermia. To combat this, have a heating pad on standby. Do not place the puppy directly on the pad but gradually warm them up with your body heat and then give them the option of the heating pad. If they are able to move on their own, do not place the pad down in a box that is too small, instead put it in one where it only covers half the bottom. As your puppy gets older they will have the ability to regulate their own body temperature and you will not need to monitor it as much. But make sure you are not leaving your puppy outside in the cold too long, and make sure their sleeping quarters are tucked away from drafty doors or windows. When in doubt cuddle up with your puppy and watch a good television show and ride out the storm together.